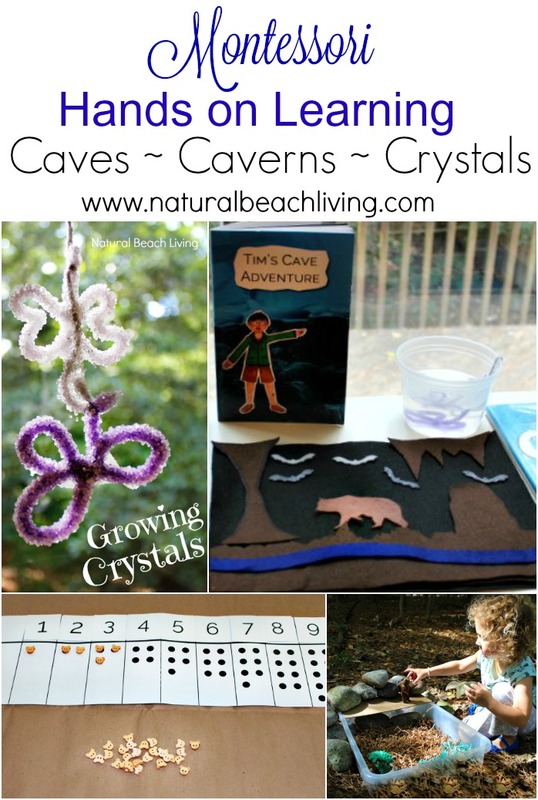 The coolest unit study for kids is this amazing caves, crystals, and caverns unit study. It rocks!!! If you haven’t incorporated these ideas into your learning I definitely think you should. Caves are so cool and what a fun thing to learn about. 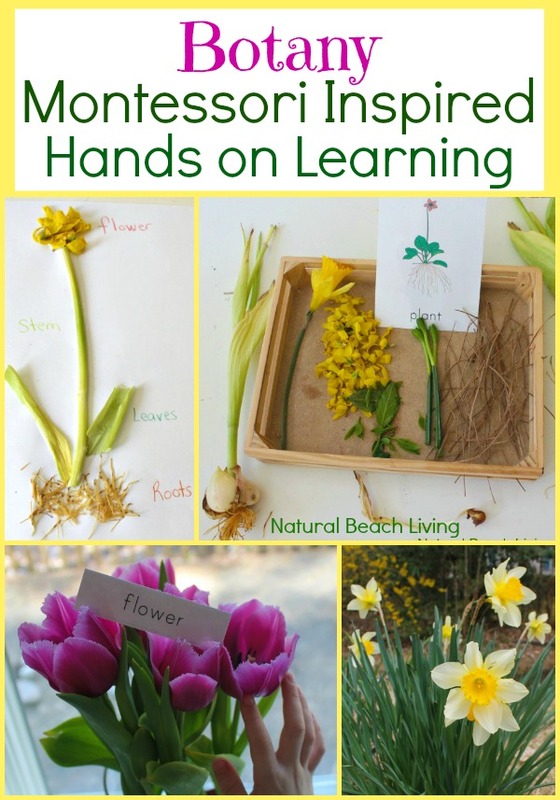 I hope you enjoy seeing these fun Montessori inspired hands on learning activities. We started off our unit study like we always do with great books. 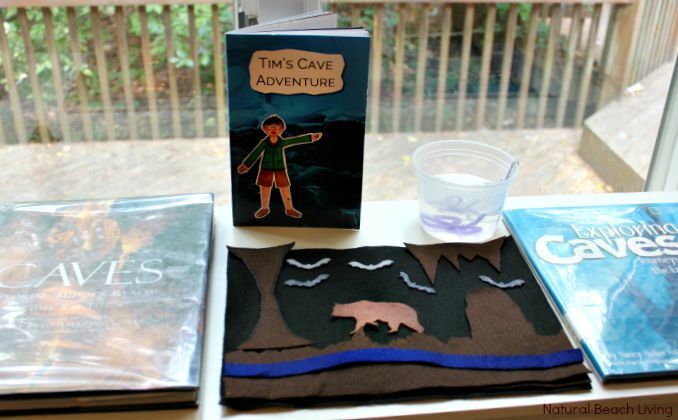 The kids really enjoyed reading Tim’s Cave Adventure a story written by Nathan and Teresa Hadsall. Tim explores caves, caverns, speleothems, cave creatures, cave paintings and so much more. It is very exciting and informative. 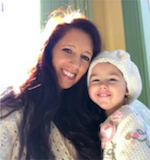 I was so excited to get our Montessori by Mom toolbox this month. Unfortunately at this time in our life we can not afford to get every toolbox (I wish), so I try to pick and choose what will be best for us at the time. Hopefully in the future we are able to get a subscription, but for now we order when we can. Personally I think the Montessori by Mom Toolboxes are definitely worth it. This is our 3rd Toolbox. We had the best time watching the crystals grow over the past couple of weeks. It was a wonderful experience for the whole family. 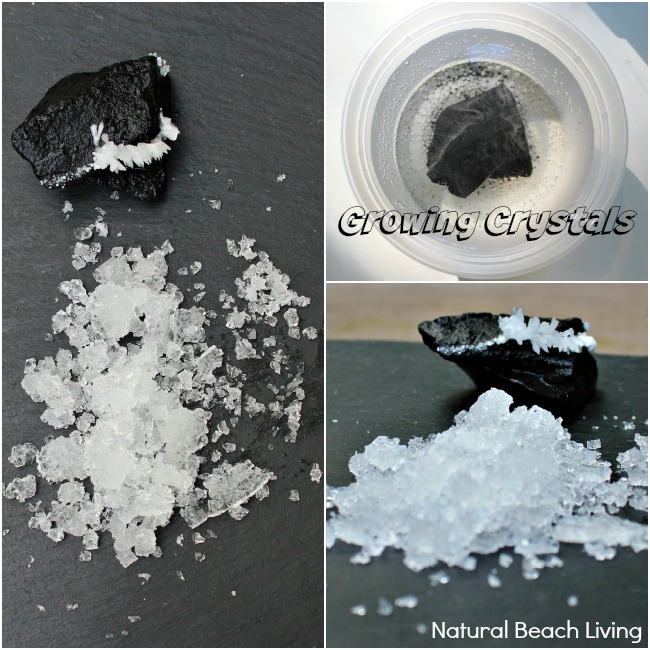 Check out some of our crystals… We still have a few more crystal experiments to do and we can’t wait. 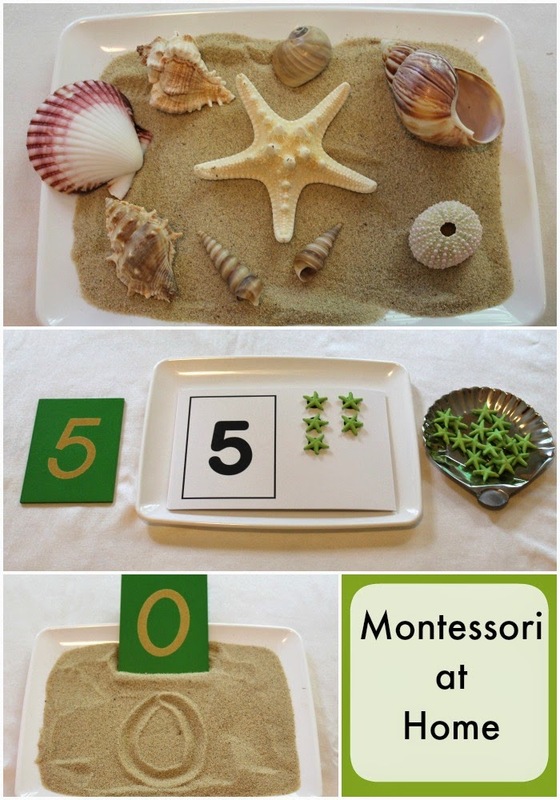 Another thing to love about Montessori by Mom is their wonderful how to videos. 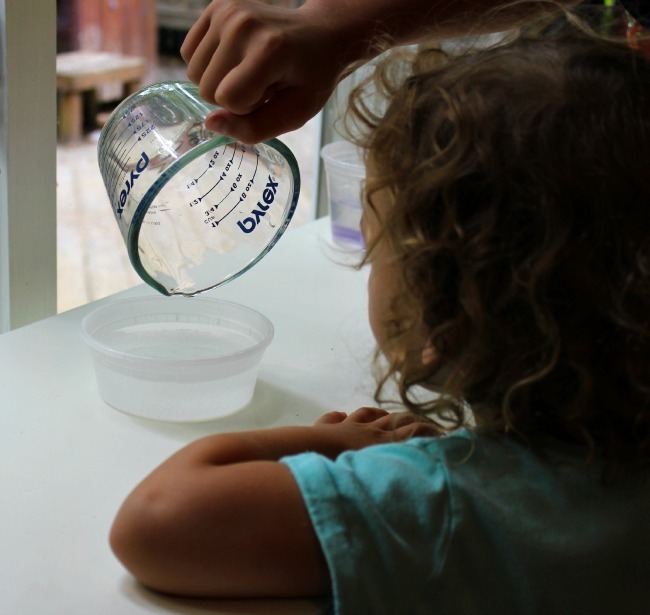 We watched the crystal video a couple of times over the course of the month and it gave us the confidence to easily do them with the kids. You can also print great printables that go with your toolbox. 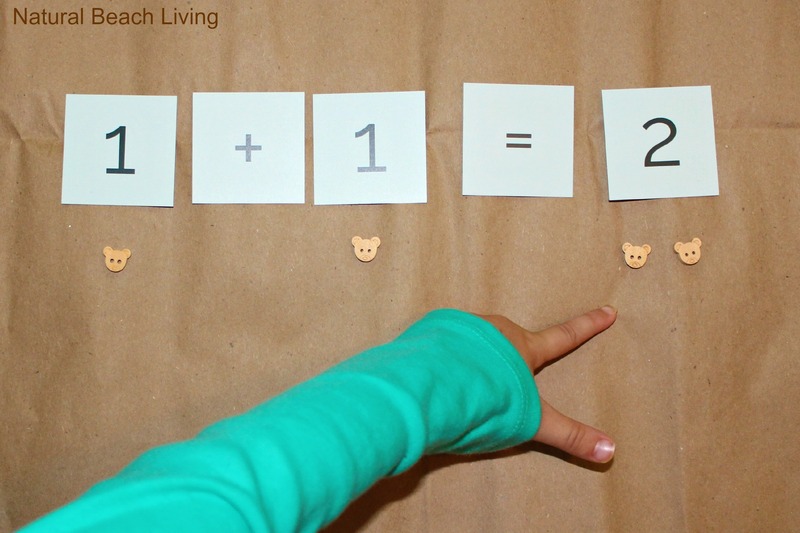 The bear manipulitives are adorable and were the perfect addition to our math activities. 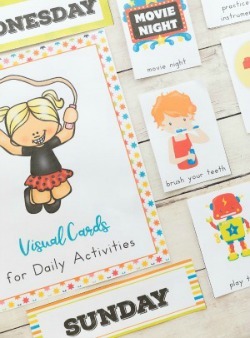 This Montessori by Mom toolbox supplies everything that you need. 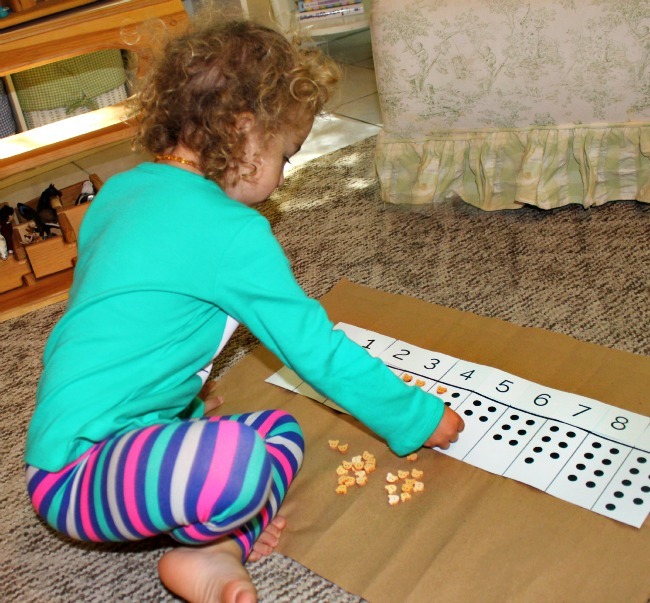 You have the possibilities to incorporate many different mathematic operations to go with what your child is working on (addition, subtraction, counting). We just love these little bears. If you’ve visited us before or you follow us on Instagram you know we love nature. So for this fun art lesson we spent time outside, drawing in the woods. 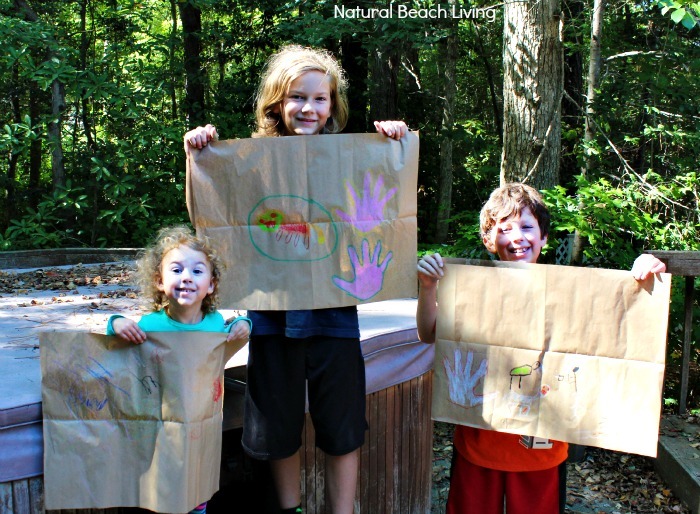 They are so happy with the great cave art that they did themselves. Every month we have a family movie night and this month we chose Brother Bear 2. It seemed like the perfect movie for a cave theme and cave art ideas. I usually try to include a fun sensory bin into a theme we are learning about. 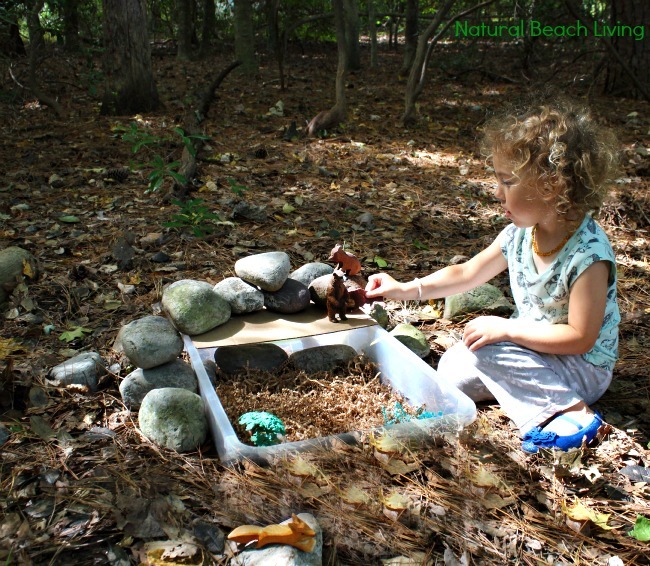 For this caves and caverns unit I came up with this easy and super cool cave sensory bin. Head over here to see how I put it together. Last but definitely not least we went hunting for caves. We even found this really cool cave area in a park we visited. The kids were really excited to end our caves unit this way and I am sure there will be many more Montessori by Mom experiences in our future. 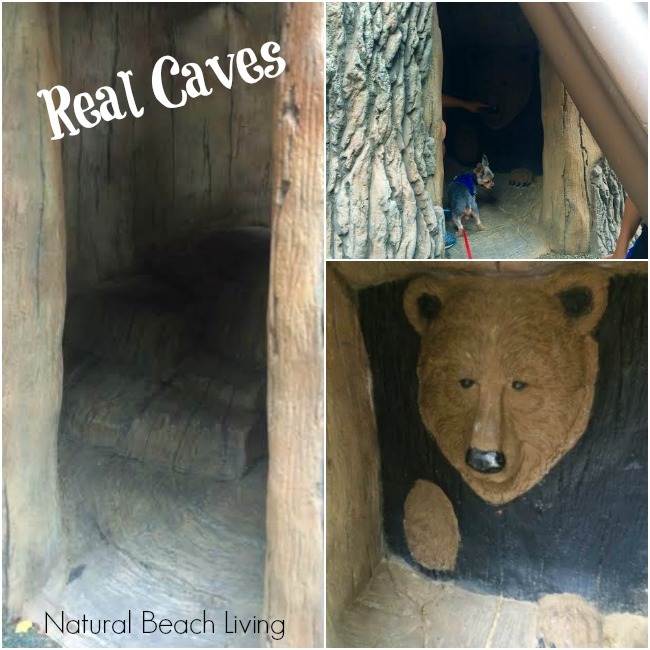 I can’t wait to try the bear cave activity! Will incorporate it in our Bear Hunt FIAR. And I must start looking for those yummy bear cookie counters! So cute! What a neat unit study! So many cool activities! How fun and cool learning for kids.. 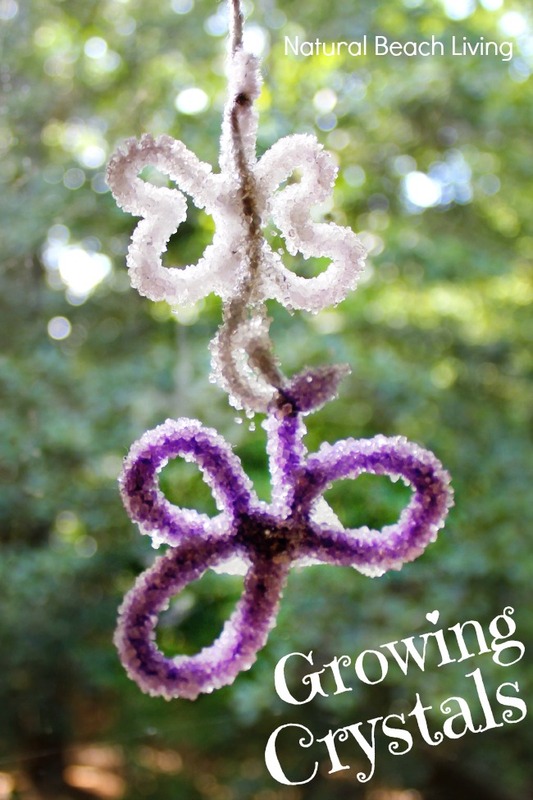 Growing crystals is one we haven’t done yet. Looks pretty neat!